Top Ways To Enhance Your Website Content - Coderra Ltd. If you’re looking for ways to improve your business website, there’s one important component which should be first under the microscope: the website content. The content of your website speaks volumes about your brand and business. It tells potential customers everything they need to know about your company’s professionalism, your ethos and your ability to meet their needs and provide a great service. You could have the greatest product in the world, but if your website doesn’t give a strong first impression, you’ll never make a sale online. Consumers don’t want the businesses they buy from to be faceless, personality-less entities. They want to hear about the human side of your venture, and to be able to relate to you and your service. You’ll paint a much more relatable image of yourself and your business if you become a storyteller in your online content. It doesn’t have to be your own story that you tell – why not share other customer’s success stories, or a case study from a client? Storytelling is one of the strongest and most vivid forms of communication, and it’s likely that your content will stick in the minds of readers more effectively. Every time you add new content to your site, ask yourself: what is this piece of content achieving? Is it supposed to generate leads? Is it aiming to stimulate confidence and trust in my brand? Is it intended to showcase a product or service in its best light? Is it attempting to inform and educate my readers? Once you have a clear goal in mind, you’ll be able to develop your content more effectively and shape your entire website more coherently. You don’t necessarily have to rewrite your entire website from scratch every year, but it’s wise to refresh your site’s content every now and then, to keep it fresh and ensure it hasn’t dated. You might find, on refreshing the content, that certain parts of your site need more attention, or that you need to build an entirely new section to hold new information you want to add. You’re writing content for a business website, not a 19th century novel. It’s okay for sentences to be kept short and simple, as long as you’re conveying your message in the way you intended. Most users visit your website to find out what you do and how your service or product can benefit them – cut out the flowery language, avoid unnecessary jargon, and give visitors what they’re looking for. Always use the active, rather than the passive voice. The active voice is much less wordy, for a start, and it’ll give your writing a sense of energy and enthusiasm that the passive voice can’t achieve. 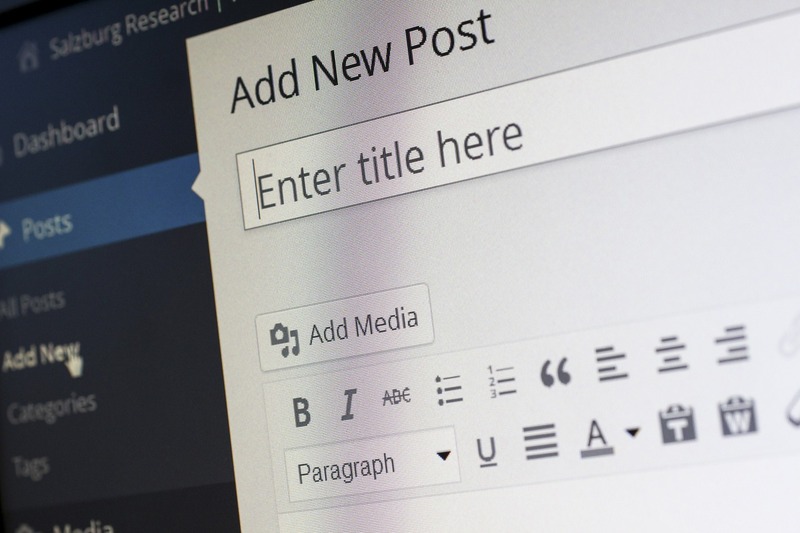 Have our tips helped you to improve your website content? Let us know in the comments!